In this article (and video below), I explain why you should really integrate back office software to maximize a POS System. Let’s start with this: a POS system is a different thing than restaurant management software. Restaurant management software uses reports from a POS system, but a POS system doesn’t provide enough tools to fully manage your restaurant the way a complete restaurant management software will (full disclosure – we offer the best restaurant management software for independent restaurants). Watch this video to learn how back office software on the back end can get you more power out of your point of sale system. Throughout this video I use Aloha POS as an example of a POS system because it’s one of the more popular options, and because of that, our restaurant management software is configured to integrate with Aloha POS system. We took the step to make it possible for our restaurant management software – or back office software – to integrate with POS system because our Members can do things faster with their POS system connected to their restaurant software. For example, they can get their daily sales connected, saving bout 15 minutes every day. Also, being able to automatically import the in-and-out-times for the day’s shifts can save you upwards of 30 minutes. But the really big time saver is tying your menu mix to your recipe costing cards inside the software. With just a few clicks, you can know your ideal food cost. This is so important because with this information all tied together with your recipe costing cards, you can perform some menu engineering activities, such as changing prices, eliminate items, change your mix, etc., because you have this information. This can lead to a 3-7 percent reduction in your food cost because you have this information. 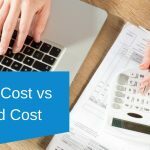 PLUS, if you have a problem with food cost and now you’ve tied your menu mix with your recipe costing cards, back office software will shine a light on what’s causing that food cost problem. It shows you inventory issues as well as ideal vs actual on the product level. For example, maybe you were supposed to use 10 cases of French fries if you followed your recipes, but you used 15. As a chef or owner, you can see exactly what to fix. That’s the power of integrating your back office software with your POS system. 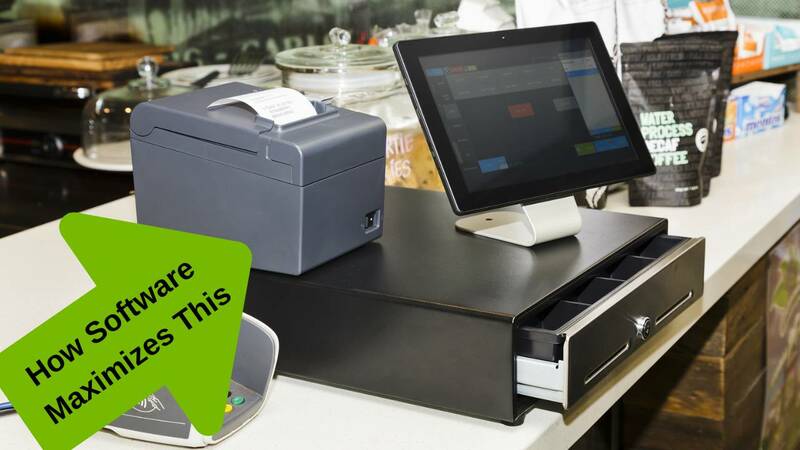 With SMART Systems Pro, if you use a POS system we don’t integrate with, we’ve made it pretty easy anyway. It’s simple export and import of reports from your POS system to the restaurant management software we offer. 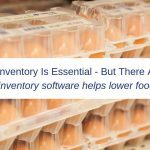 If you want to take control of your food cost, I highly recommend using SMART Systems Pro, our restaurant back office software. If you want to learn more about the benefits of pairing back office software with a POS system, read our free special report, Breaking Away from the Insanity: How to easily take control of your restaurant and make more money. Download it here. Be sure to visit our YouTube channel for more helpful restaurant business management video tips. Optimizing Restaurant Food delivery process also helps in reducing the cost & increase in revenues.